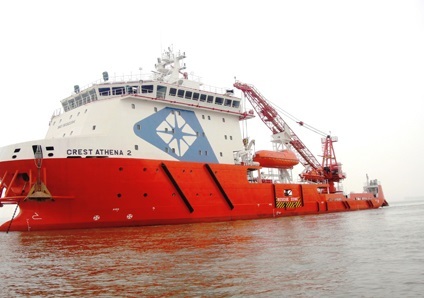 Pacific Radiance reached an out-court settlement of dispute with two Chinese shipyards for construction of two platform supply vessels. China Shipbuilding Trading (Shanghai) and Shanghai Waigaoqiao Shipbuilding & Offshore agreed to refund the pre-delivery installments of 10.6 million USD to the shipowner due to delay of delivery and not respecting the obligations under the shipbuilding contracts. In addition the shipyards must cover all the costs of equipment supplied by Pacific Crest to the facilities. The refund of the payment must be done within 60 days of the execution of agreement. “The arbitration follows the rescission of the shipbuilding contracts for the failure of the shipyards to deliver the PSVs in accordance with their obligations under the shipbuilding contracts”, said Singapore-listed shipowner, Pacific Radiance. The representatives from the both Chinese shipyards refused to comment the dispute settlement, but confirmed that will respect the agreement. Pacific Radiance is an established owner and operator of offshore vessels and a provider of subsea services, shipyard services, marine equipment as well as project logistics to the global oil and gas industry.